Las Vegas musicals have a special "Sin City" flavor - that is to say, they are light and funny. However, a few serious Broadway productions find their way to Las Vegas as well. Currently there are 3 musical shows playing in Vegas - VEGAS! The Show, Menopause, and Friends, as well as visiting Broadway musicals playing at the Smith Center. Review: VEGAS! 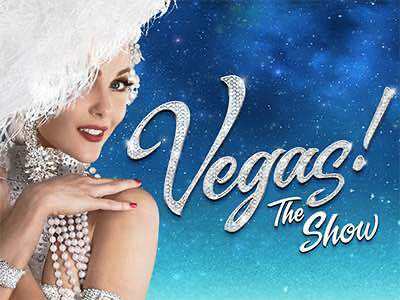 The Show is a wonderful Las Vegas musical that takes you through the rich history of the city's entertainment. Presented at the Saxe Theater within the Planet Hollywood property, Vegas! The Show intertwines superb choreography with dancing and singing. Iconic songs from the members of the Rat Pack to Tony Bennett to Elvis are recreated by the 40 plus artists that adorn the stage. This is not a tribute or an impersonation show; this is a show that is filled with high powered musical performances that displays the true legendary status of Las Vegas entertainment. Vegas! The Show is presented seven days a week with two nightly appearances at 7:00 and 9:00 P.M. This musical extravaganza is open to all ages. Review: Menopause is a hilarious celebration of women going through The Change. The story is about 4 women who meet in a department store - each of them is experiencing hot flashes, wrinkles, mood swings and everything else that comes with the "wonderful journey" that is a menopause. 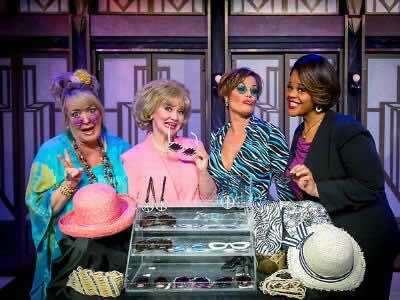 One of the funniest Las Vegas musicals, Menopause raises awareness about the issue all the while lifting up the mood of the women in the audience who experience the change as they realize that they are not alone in this journey. Although we were skeptical at first about this play, it turned out to be one of the best current Las Vegas musicals in 2019 - highly recommended for every woman over 45 and especially for their husbands! 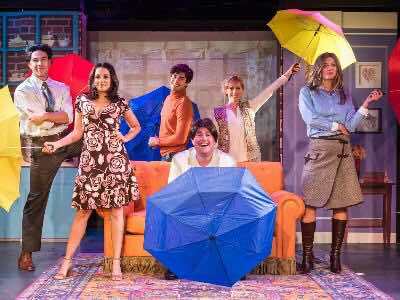 A new Las Vegas show that everyone is raving about and is a must see for aficionados of the timeless 1990s sitcom is Friends! The Musical Parody. Performing at the Showroom within the D Las Vegas, this 90-minute high powered entertaining Las Vegas musical brings your favorite six people back on stage in an Off-Broadway production that will have you cheering, crying and remembering the good old days with Rachel, Ross, Monica, Chandler, Phoebe and of course the dense minded Joey. The musical hits all the right notes as the performers grace the stage in fabulous costumes, a perfect stage setting of the two living rooms where we shared our lives with them and don’t forget about the coffee shop where dreams came to life. From the opening to closing scenes, the musical brings to life the trials and tribulations of the six people that were etched into our memory in a production that is worthy of being labeled Friends! The Musical Parody.